I've read through the highlights of the User Agreement changes and everything is acceptable. One other issue I'd like you to address is deleting a designer's intellectual property when it doesn't conform to Zazzle's restrictions. An example is when a design can be brought into conformity by changing one word in the design and you delete the designer's intellectual property and refuse to allow the designer to make that change. That is an unacceptable policy. I understand that the designer agrees to that action when he signs the contract with Zazzle, but that concession should not be in the contract in the first place. At no time does a design, because it resides on Zazzle's servers, become the intellectual property of Zazzle. The designer retains ownership of that design as long as it is under copyright. If you were to allow me to park my car in your garage, the ownership of my car wouldn't transfer to you because the car is stored in your garage. And so, you couldn't dump my car in a landfill if you learn that it doesn't conform to the restrictions of your garage, because it's not your car to discard. If I learned from an email notification that you had dumped my car in a landfill and it was irretrievable or irreparably damaged, I could rightly take you to court and receive compensation from you for your destruction of my property. The same is true of intellectual property even though it resides on your servers only as ethereal binary code. You have no more right to discard the designer's intellectual property because it's stored on your servers than you would have to discard someone else's car stored in your garage. You would, however, have the right to have the car towed at the owner's expense to a location where the owner could retrieve it. You could treat nonconforming intellectual property in the same way by simply changing the design's status from Public to Hidden. Such a simple action on Zazzle's part, I don't understand why it hasn't been Zazzle's policy all along. I'm sure your response would be that you don't want to allocate resources to following up on each nonconforming design to see that it has been corrected before being made public again, because there are probably thousands of nonconforming designs in the system at any given time. But is it true that it would require so much manpower to keep up with checking back on all of the flagged designs that it would represent a financial burden to the company? My impression is that you keep a bare-bones coding staff between major redesigns of the site. Glitches in the site can last for years, which indicates that you don't want to take resources from development in order just to correct some bad code. However, the percentage which Zazzle keeps of the selling price of each item is 90% for a great number of items sold; and when a seller increases his royalty percentage, Zazzle raises the selling price of the item. The Incfact.com site lists Zazzle's revenue as $50-100M and the number of employees as 100-500. I believe Zazzle can afford to have sufficient manpower to follow up on nonconforming items made public again. It's even possible that no employees would need specifically to follow up on those items; the items would simply be flagged again if they are made public again without being altered. Fortunately I haven't had any items deleted for a while, but each time it happened my thinking was "Let me make the change! Deleting my intellectual property without recourse isn't within your rights!" With one item, I had the name "warhol" in the keywords for a product but the name didn't appear anywhere on the item itself or in the title or description. Still, the Warhol Foundation objected and you deleted my intellectual property. An unseen keyword, however, does not fall into the realm of copyright infringement, so the Warhol Foundation had no authority to object to it and it would not have stood up in court. A keyword? Which I could have easily replaced with an acceptable keyword. Your policy of deletion without recourse results, of course, from your desire to heavily insulate yourself from lawsuits. You accommodate copyright holders to an extreme degree in order to protect yourself legally, but it's at the expense of the designer. The typical designer doesn't have the resources to protect his intellectual property on your servers, so he is at the bottom of the food chain. But does your business primarily sell blank items? Of course not. The designs generate your revenue. Your substantial financial success derives specifically from the designers' intellectual properties. Without the designers your business model and net income would be significantly different. But you relegate the designers to the bottom of the food chain. Your unwillingness to allow the designer to make a change to an item reflects your hyperfocus on maximizing net income and, ultimately, laziness. I periodically look for another POD retailer to migrate to, but none so far equal the control and flexibility of Zazzle's design tool. That superiority should be a good thing, but it results in a lack of respect for the designers and their intellectual properties, as well as website design flaws that are never corrected because Administration either doesn't know they're there or doesn't want to allocate resources to correct them. Even though the Palestinians and the Israelis have both lost the moral high ground in the conflict, please don't act as if Israel still has the high ground through its "birthright" by voting for S.1, the anti-BDS bill. Israel was an identifiable Jewish nation from the Bronze Age to the 2nd century ce, but that identity was lost with the defeat of the Bar Kokhba revolt in 136 ce and the establishment of Aeolia Capitolina and the renaming of the Iudea province to Syria Palaestina. Eighteen centuries passed before Israel declared its independence in 1948, and in any other case a nation would not be allowed to reclaim its land after a span of eighteen centuries. Would Iran be allowed to reclaim Babylonia in Iraq after thirteen centuries? No other nation would be aided by the US in reclaiming its land after eighteen centuries. The justification for reclaiming the land is that God covenanted with Moses, Abram, and Isaac that the land would be Israel's forever. Would unwitnessed verbal agreements made in the Bronze Age be honored with any other nation? It also should be considered that the scroll of the law which was found during Temple repairs during the reign of King Josiah in the seventh century bce - which was likely an early version of Deuteronomy and probably the first time that covenant had been written down - had probably been created by the scribes and priests themselves and later "found" and presented to the King and the people as the writings of Moses from six centuries earlier. A forgery. It's very possible that it was Israel who covenanted with Israel that the land would be Israel's forever. Regarding birthright, it's probably the case that the reclaiming of Jerusalem by the Muslims under Saladin in 1187 marked the beginning of Muslim control over the land. That represents seven centuries of Muslim possession of the land prior to 1948. Eighteen centuries of loss and seven centuries of possession logically would give the Palestinians the birthright to the land. You know all of this, I know. And I believe you intend to vote no on S.1. I feel it's important for you to know how at least one of your voters, and probably many others, view the Mid-East conflict. Thanks very much for being a champion for us. Outlawing boycotting? Is that legal? Just the title of the bill, Anti-Boycott Act, indicates how misguided it is. Americans should be free to boycott as a First Amendment right. This bill would criminalize some individuals who support the US Campaign for Palestinian Right’s call to boycott. Please urge Senate leadership not to include the Israel Anti-Boycott Act in the omnibus budget bill. Your voting record shows that you vote for Israeli interests, and I believe that is to satisfy a strong element in your constituency so that you can stay in office where you can continue fighting the right on other issues. I understand that. Those members of your constituency who are implacably pro-Israel need to stop voting as a single mind and intimidating anyone who won't conform. That isn't democracy. 1. Israel's identity as a nation came to an end with Titus' destruction of Jerusalem in 70, and the Bar Kokhba Revolt was unsuccessful in restoring Israel's identity in 136. The 18 centuries that separate the Bar Kokhba Revolt and Israel's declaration of statehood cannot be ignored. If any other nation attempted to regain their land after 18 centuries, it would provoke a war to protect the invaded nation. Israel is not exceptional. I've read that it's claimed that "Hadrian was only circumstantially connected" with renaming Israel to Syria Palaestina. Claims like that are simply historical revisionism. 18 centuries of non-identity as a nation cannot be ignored or rewritten. 2. The covenants God made with Moses, Abram, and Jacob giving the land to Israel forever are used as the basis for reclaiming the land and justification for murdering Palestinians, forcibly taking their properties, and erasing Palestinian history from the land. I believe a majority of Jews now accept that Torah, Nevi'im and Ketuvim were largely assembled during the reign of King Josiah and the Babylonian captivity and were not dictated verbatim to Moses. If the passage in II Kings 22 regarding the finding of the book of the law during Temple repairs is any indication, those covenants were written by the priests and scribes themselves but presented to the people as the writings of Moses. Forged documents are a very weak basis for reclaiming land after 18 centuries. Please do not vote pro-Israel this time with the Israel Anti-Boycott Act in the omnibus budget bill. If it precipitates protests from your voters, please consider it a teachable moment. Israel ceased to be a nation in 135 AD with the Bar Kokhba Revolt, more than 18 centuries ago. The Battle of La Forbie in 1244 ended European influence in the Levant, resulting in Palestine being under Muslim control for 7 centuries prior to 1948. With your admirable record as a Progressive, you should not be promoting Israeli exceptionalism. You should seek to educate the element of your constituency that expects you to be solely pro-Israel. The land was Israel's from the Bronze Age to the second century. A statute of limitations would apply to 18 centuries of Israel not being a nation since then. Who else would be permitted to reclaim their land after 18 centuries? I saw an ad recently for "3D print T-shirt" and I thought "They can create T-shirts with 3D printers now? How comfortable would a plastic T-shirt be? Have they figured out a way to print with cotton fibers?" I went to the page the ad promoted and saw that by "3D print" they meant that the picture of the dog's head printed on the shirt is so clear that it looks like it's projecting outward from the shirt. Um, that's not 3D. I know that if I suggested to them that what they meant was "tromp l'oeil," they would have no clue what that was. What they could call it is "dimensional illusion" or "faux dimensional." That's not too hard to understand. And it wouldn't be misleading like "3D print." Out of curiosity, I searched for ""3d t-shirt"" and got 3,900,000 results. Wait. What? 3.9 million?? I wonder how many of those results refer to an actual 3D T-shirt. Probably close to none. A 3D T-shirt would be one that requires 3D glasses to see the image printed on it appearing to project outward from the shirt. I suppose you could say that "3D T-shirt" means a shirt printed with images of digital 3D models like what they use for computer animation. So, any of the 3.9 million shirts that have images of characters from computer-animated productions could probably be referred to as a "3D T-shirt" or a "3D print T-shirt." But an enhanced HD photo of a dog's head looking at the camera can't. That's a dimensional-illusion T-shirt. I noticed a T-shirt on another page that had the caption "3D cross." The image printed on the T-shirt was a 2D line drawing representing a 3D object from an oblique angle. Nope. Sorry. It's still 2D, even though all the appropriate lines converge at a single vanishing point. You could call it "Perspective cross." But the 3D is only suggested by the perspective. The image on the shirt remains 2D. Out of curiosity, I searched for ""not 3d" "3d t-shirt"" and got 2,630 results. Mostly the results on the first two pages refer to a T-shirt with the text "3D or not 3D." I didn't look very long, but I did find, on page 3, one person commenting to a T-shirt designer who used a 3D printer to print a design onto a T-shirt: "You ARE NOT 3d printing a 2d design. you are JUST PRINTING." So, then, yeah, okay, if the T-shirt designer had printed a 3D object onto a T-shirt, that would be, more or less, a 3D-printed T-shirt. But none of the shirts I found on the different retail sites I visited had objects projecting from them. They just had 2D images characterized by chiaroscuro shading. Nope. Sorry. Still 2D. Yo Wikipedia, fix your website! As a graphic designer, I've been wondering for quite a while about the excessive line length and inadequate margin width of the Wikipedia article template. As desktop monitors have increased in physical size, the line length of the Wikipedia article has increased with it, and I'm surprised that this issue hasn't been addressed long before this. Just as an example, my desktop monitor display screen is 23 1/2" wide and the resolution is set to the recommended 1600x900 pixels. When I maximize the Google Chrome window on my screen, the line length of, for example, the article on Pyeongchang County is 19 7/8", measured on the first text line of the subsection Train in the section Transportation. (With no photos or indentation at that location on the page, at least as my monitor displays it, the line can extend all the way to the left and right margins.) At 19 7/8", the line can't be read without my turning my head. Because I usually find that a maximized browser window produces web pages that are too big, I generally keep the browser window at about 18" wide. Even so, that results in a length of 14 3/4" for the same line in the article. Although I can read the entire line without having to turn my head, that line length is simply too long. I don't know that many book publishers would design a book with an ungainly 14 3/4" line length, with only 3/8" margins, and many aspects of print design, including this, apply equally to web-page design. I know that adjusting the width of my browser window while reading an article on Wikipedia is an easy solution to the line-length problem, but that solution has to be considered a work-around. The line length ballooning out to 19 7/8" in a maximized browser window, or even more on a larger monitor than my average-size monitor, recalls old-fashioned web pages from the 1990s, with text stretching the full width of the display screen in a bright color on a busy background with several text elements on the page blinking. Web-page design has become much more sophisticated since then, and Wikipedia's page designs are sophisticated and aesthetically pleasing. Except the line length. That remains a relic from the Old Days. One solution would be to set a margin in the page template to a percentage of the width of the desktop browser window. If the margins were set to 10% of the browser window width, margins would be 1.8" with my browser window set to 18" wide, producing a line length of 11.125", still a bit wide but better than 14.75". Another solution would be an adjustable margin width for article text. The user would click-drag a margin to where he prefers it and the opposite margin would adjust symmetrically by the same amount. I'm sure Wikipedia's developers could come up with several more solutions. However, if adjustment to the line length is already a feature of Wikipedia, I haven't run into it yet. If it's there, it should be easier to find for the typical reader as, say, an option in the side bar or as a tooltip that appears when the pointer is over a margin. Please address this issue. Wikipedia is simply too sophisticated a website to require a reader to turn his head to read an entire line of text if his browser window is maximized. Readability is fundamental to a site like Wikipedia, and an excessive line length has a negative effect on readability. My son, currently sitting his GCSEs, spotted this book on our dining room table, and said, "Oh, yeah, ontology, that's all to do with God, and our state of being - we've done something about that in R.E." Which showed that (a) studying for your public exams actually works and (b) my son knew significantly more about this than me. 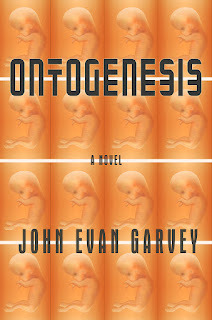 So, having read most of John Garvey's excellent novel by this point, I said, "Yeah, it is kind of like that, only way weirder, all to do with alien intervention, all that stuff." With a half-absent "Cool", my son moved on to something else, and I decided perhaps now was the time to look up what this title actually meant. It's relevant because, although this is 'just' a novel, in my opinion Ontogenesis is a deeply thought through work of metaphysical enquiry. I'm not really sure my review is going to do it justice, because the philosophies underpinning the work were, at times, stretching my conceptual understanding. At one point, I wrote in my notes that the book was Cubist, in that it was using multiple vantage points to explore certain concepts and situations. Later in the book, it went multi-dimensional, like a game of 3D Tic-tac-toe, and the Cubist structure turned into something more akin to a Möbius strip. So, let's get a bit academic here, before I try to engage this novel's narrative. My son was pretty accurate; ontology is indeed the branch of metaphysics dealing with the nature of being. However, 'ontogenesis' has been defined as 'the development of an individual organism or anatomical or behavioural feature from the earliest stage to maturity'. Somehow, the author has brought both of these concepts into the book's 337 pages, amalgamating human evolutionary progress with New Age metaphysics, theology and Ufology - all pinned together by plenty of Socratic rhetorical debate. The contents may involve some heady stuff indeed, but the novel is coated by a chilled Californian vibe - rather in the style of Joe Satriani's guitar work; vigorously intellectual and creative, whilst remaining damn cool. There's a political struggle woven into the work, too; a very American contest between liberalism and social conservatism: A breaking free of mainstream thinking, and a rejection of established and repressive community values. This is all drawn together into the New Age concept of Ascension - a spiritual evolution of being which allows humanity to break through into a multi-dimensional universe already inhabited by more highly evolved alien entities from neighbouring star systems. The kick in this book is how that transformation plays out on an existential level, i.e. how the protagonist and his Scooby Doo-style band of friends experience this bizarre multi-dimensional roller coaster. There are many allusions to the Matrix movies, at least in terms of the way the book steps out of the box. There are many allusions to Virtual Reality games, an increasingly straightforward solution as the narrative weirdens. But this is no first-person shooter. 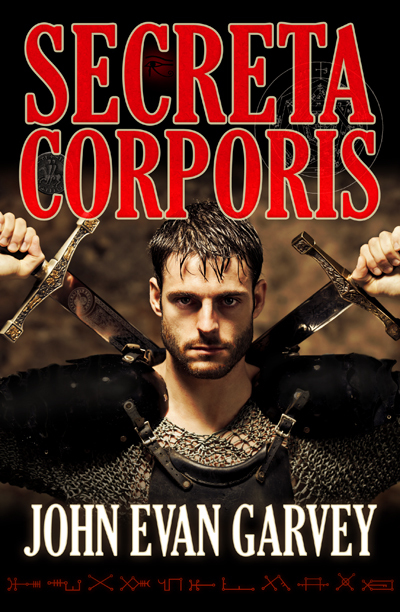 The author's science fiction style harkens back to a Golden Age, more like Asimov or Bradbury, and brings in action sequences reluctantly, I felt. It didn't help that most of the book is written in the present tense. This may have been a consciously worked aspect of the underlying metaphysics, but it made the pacing of certain tracts of the book feel stilted. To be fair, it can't be easy to mix heady New Age philosophy with widescreen action adventure. So, to the narrative. The story begins as a Close Encounter of the Fifth Kind ("bilateral contact experiences through conscious, voluntary and proactive human-initiated cooperative communication with extraterrestrial intelligence") on the hills overlooking Los Angeles, involving an eclectic group of UFO enthusiasts. The main protagonist of the story, a marketing executive called Trevor, has brought along his beautiful new girlfriend Veronica, who seems to be settling into this odd clan unexpectedly well. A highly successful encounter with a UFO turns into a classic abduction experience for several members of the group, which is then plunged into chaos when the UFO is intercepted by dark forces mid-abduction. The abductees are rounded up and imprisoned within a military facility, partly manned by aggressive aliens. Upon their escape, they manage to find their ways home remarkably easily - making the whole thing seem like an extended acid trip. Someone laced the Kool Aid? But this is just the beginning of an evolution of weirdness, which permeates and ultimately takes over the lives of the abductees. They progressively experience a deeper multi-dimensional reality, aided by alien presences whose motives are often questionable. Inevitably, the course of the transformation and ascension of humanity to a new existential level relies upon the courage, determination and underlying humanity of these abductees. The narrative draws from many, many strands of Ufology. One might even consider it to be a comprehensive exposé of the subject, attempting to understand this disparate discipline by attempting to incorporate all of its fayre simultaneously. The alien denizens of Earth, decidedly Men In Black in concept, rely heavily upon Ufology's menagerie - Greys, reptilians, Nordics, preying mantis-types, shape-shifters, and so on. Then there are the many conspiracy theories which each try to explain and/or contextualise the UFO phenomenon, including alien bases, mind control, MILABs, ancient aliens, abductions, hybridisation, multi-dimensional encounters, folklore, demonology, environmental catastrophism, our estranged place in the galactic community, and quite a lot of dark David Icke-style material. But, ultimately, the preferred solution edges towards human progress to a higher spiritual truth, aided by various quasi-religious figures known as Ascended Masters. This requires the book to turn in on itself, and provide multi-faceted experiences for its reader, which serve to penetrate this higher reality. It's an ambitious gambit, and for the most part works well. It's certainly thought-provoking. The sardonic, jocular wit shared by the abductee group gives the sense of a literary work smiling at itself knowingly - like an amused Bodhisattva. 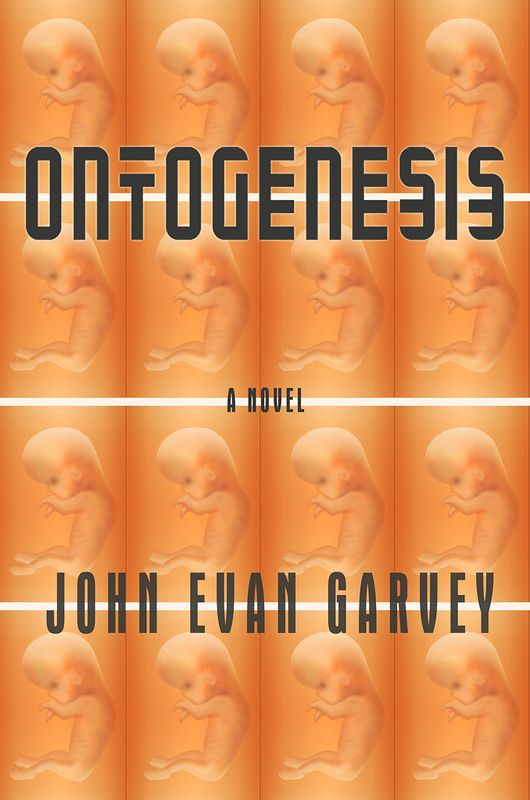 Whether the book would appeal to readers not acquainted with the diversity of Ufology, I don't know, but personally I found Ontogenesis engaging and immersive, and enjoyable. I'd certainly read another of John Garvey's books. In your press release of 4 January 2017, you quote Senator Rubio as saying "Efforts to delegitimize Israel have been underway a long time at the United Nations and have now sadly been aided by the outgoing administration" in reference to UN SC Resolution 2334. In contrast, a press release from Senator Feinstein on 23 December 2016 states "President Obama’s refusal to veto today's UN Security Council resolution condemning Israeli settlements sends a strong message that the United States still supports a two-state solution. Ending settlement activity in the West Bank and East Jerusalem is an absolute necessity if we’re ever to achieve a lasting peace between Israel and the Palestinians." As Rachel Maddow said of Senator Feinstein, she "will crush you and bench press your corpse," and I think it may be in your and Senator Rubio's best interests not to disagree with her. I'm just sayin'. I expect that you personally feel that Israel's settlements are wrong, as is their treatment of people in Gaza, but you have strong elements among your constituents who will not tolerate any action that is not pro-Israel. To me, this issue is significant enough on the world stage that, if I were in your place, I would vote my conscience even if it meant being voted out of office. The occupation of the land by Israel as a sovereign nation ended in A.D. 136 with the Bar Kokhba revolt. Nineteen centuries have passed since then. When Crusader influence in the Holy Land was finally eliminated in A.D. 1244 with the Battle of La Forbie, the land came under Muslim control and remained so until 1948. That was seven centuries of Palestine being Muslim land. In any other region of the world, a people forcibly taking land that had not been theirs for 19 centuries from a people in whose possession that land had been for the previous 7 centuries would be considered an illegal invasion, and other nations would become involved in ousting the invading nation. In any other region of the world. It's understandable, after the insanity in Germany during the second quarter of the twentieth century, that everyone in 1948 felt it important for Jewish people to have a homeland. Had I been living then, I would have agreed. There needed to be significant accommodation after enduring horrors like that. But if one took stock of the situation in 1967, one would have seen that Jewish people were experiencing acceptance and finding prosperity in many places in the Western world, and one would wonder whether the need for a homeland at that point warranted the Six Day War. If the Six Day War had been treated then as a people forcibly taking land that had not been theirs for 19 centuries from a people in whose possession that land had been for the previous 7 centuries, it would have been in line with international law to oppose it. It would have been acceptable to everyone if other nations became involved in ousting the invading nation because the Jewish people had had two decades to heal emotionally by that time. Instead, the drive to oust Palestinians from what has to be defined as their land increased and the establishing of the illegal settlements began. Of course you know this history, much better than I do. How would you react to illegal US settlements on American Indian land? How did you react to Iraq invading Kuwait? I'll have to research more but isn't Russia's treatment of Ukraine in the same vein as the Israeli-Palestinian conflict? How do you react to Russia's role in that conflict? Do they have a legitimate claim to Ukrainian land, or is their aggression illegal in view of international law? It's baffling to me if you, and any of your Jewish constituents, condemn illegal aggression by the US, Iraq and Russia but condone it for Israel. I don't understand where that double-standard comes from and have to label it hypocrisy. 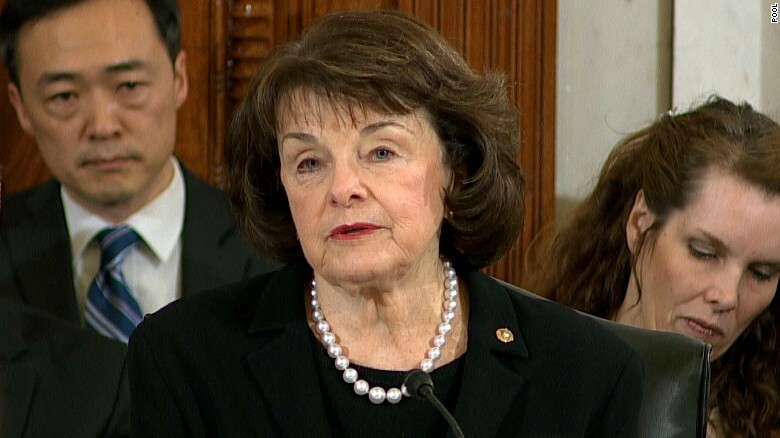 It's interesting that both you and Senator Feinstein have the same objective, peace between Israelis and Palestinians through a two-state solution. I'm sure that, as a doctor of jurisprudence, you can dissemble with aplomb, and I expect that you personally believe that no logical argument can be made defending the illegal Israeli settlements. Even I, from down here, can see that Senator Feinstein's approach to achieving peace has the moral high ground. The logic leading to the illegal settlements being an obstacle to peace is so bald-faced that one wonders how you, and the other progressives with you, can overlook that. 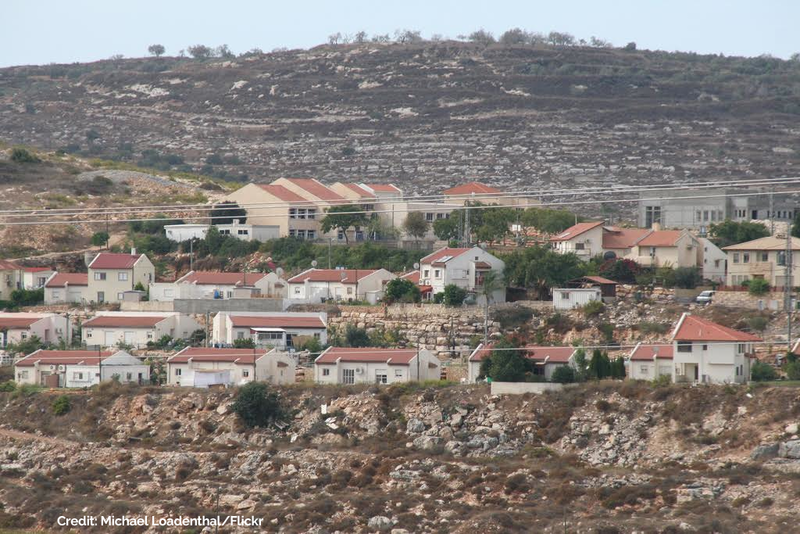 A question from a naive outsider: Did Israel purchase the land for the settlements from the Palestinians, or were contracts simply awarded to construction companies by the Israeli government? I expect that, if the settlement properties had been purchased legitimately from their Muslim owners, the settlements would probably not be termed illegal. If the land wasn't purchased, however, but simply subsumed by Israel, how can that not be considered criminal? It's baffling to me to see how much argues against the legal validity of the settlements and how motivated you are to overlook that. What would motivate you to the point of urging the veto of Res. 2334 and cosponsoring a resolution condemning it? I would hate to find out that the Israel lobby gives you nice things that are just this side of legal. I would hope your motivation is simply to stay in office where you can do the most good. It could be that your pro-Israel conditioning began in infancy and you actually can't think in any other terms. Whatever your motivation is, you know better than to overlook the illegal settlements as an obstacle to peace. Israel deserved its exceptional status between 1948 and 1967. It no longer does. 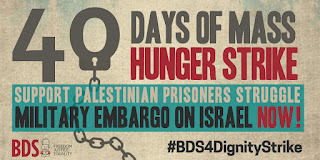 19 centuries since the end of Israel's sovereignty cannot be ignored. 7 centuries of Muslim possession of the land cannot be ignored. On the world stage, Israel is just another nation, to whom the limitations imposed by international law apply equally. As I understand H.Res. 11 objecting to UN SC Resolution 2334 and your Yea vote, you voted against a toothless Resolution that states that Israel's illegal settlements on Palestinian land constitute a flagrant violation of international law and have no legal validity. I apologize if I have it wrong, since it's an objection to an objection or something like a double negative, but it appears to me that you objected to the UN describing the settlements as illegal. I expect that you personally feel that Israel's settlements are wrong, as is their treatment of people in Gaza, but you have strong elements among your constituents who will not tolerate any action that is not pro-Israel. To me, this issue is significant enough on the world stage that, if I were in your place, I would vote my conscience even if it meant being voted out of office. The occupation of the land by Israel as a sovereign nation ended in A.D. 136 with the Bar Kokhba revolt. Nineteen centuries have passed since then. When Crusader influence in the Holy Land was finally eliminated in A.D. 1244 with the Battle of La Forbie, the land came under Muslim control and remained so until 1948. That was seven centuries of Palestine being Muslim land. In any other region of the world, a people forcibly taking land that had not been theirs for 19 centuries from a people in whose possession that land had been for the previous 7 centuries would be considered an illegal invasion and other nations would become involved in ousting the invading nation. It's understandable, after the insanity in Germany during the second quarter of the twentieth century, that everyone in 1948 felt it important for Jewish people to have a homeland. Had I been living then, I would have agreed. There needed to be significant accommodation after enduring horrors like that. But if one took stock of the situation in 1967, one would have seen that Jewish people were experiencing acceptance and finding prosperity in many places in the Western world, and one would wonder whether the need for a homeland at that point warranted the Six Day War. If the Six Day War had been treated then as a people forcibly taking land that had not been theirs for 19 centuries from a people in whose possession that land had been for the previous 7 centuries, it would have been in line with international law and acceptable to everyone if other nations became involved in ousting the invading nation, because the Jewish people had had two decades to heal emotionally by that time. Instead, the drive to oust Palestinians from what has to be defined as their land increased and the establishing of the illegal settlements began. I find your voting record otherwise admirable and I'm pleased to have you as my Representative. I have no complaints regarding your treatment of progressive issues like women's right, lgbt rights, and so on. I am just surprised by your vote regarding Resolution 2334, as I am the abstention of the US from voting on it. In decisions regarding Israel, you must be as broad-minded and aware of historical context as you are with other issues. If Israel's aggression is illegal, then it must not be condoned. In a situation like this, it isn't appropriate to be politely nonpartisan with regard to the intelligence on Russia's influence on the election. If the Electors would change their minds regarding the scope of the influence when given access to the intelligence, and they are denied access, then they are being forced to make their electoral decision "blind." I'm surprised by your decision to decline to make the information available to the Electors. It's one thing to declassify the information, and we understand your reluctance to do that. But the intelligence is precisely relevant to the decision the Electors will be making. It's recently been said by individuals from both parties that this isn't a partisan issue, it's a constitutional issue. Please rethink your decision regarding the intelligence. The information is precisely relevant to the decision the Electors will be making. They need to be able to make an informed decision. While I'm at it, I want to thank you for eight years of level-headed even-handedness. Even in the face of ad hominem verbal abuse from a good percentage of the American population and petulant resistance from legislators, you, like the Queen, have never "put your foot wrong." It's been amazing to see you continuing to be positive and professional. We will greatly miss your leadership.